DaBiri Designs > Blog > mobile-friendly > Is your website mobile-friendly? It should be! Now it is more important than ever to make sure your website is mobile friendly and adjusts and displays properly on mobile devices. More and more people are looking up businesses and viewing their websites on a mobile device. In the past, we used to use a separate mobile app for website, but now, with new and improved technology, your website can be fully responsive and display accordingly on mobile devices. 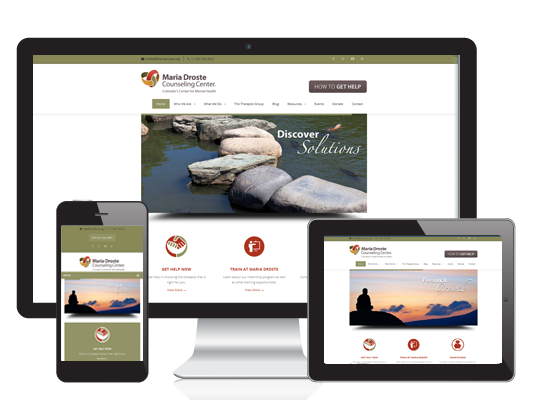 For examples of responsive – or mobile-friendly- websites, check out our website on your mobile device, or just reduce your browser size until the navigation menu changes into a mobile drop down menu. Here’s another example. So, if you don’t have a mobile-friendly site, or if you current site isn’t responsive, drop us a line and see how we can help your website get back up in the search rankings!